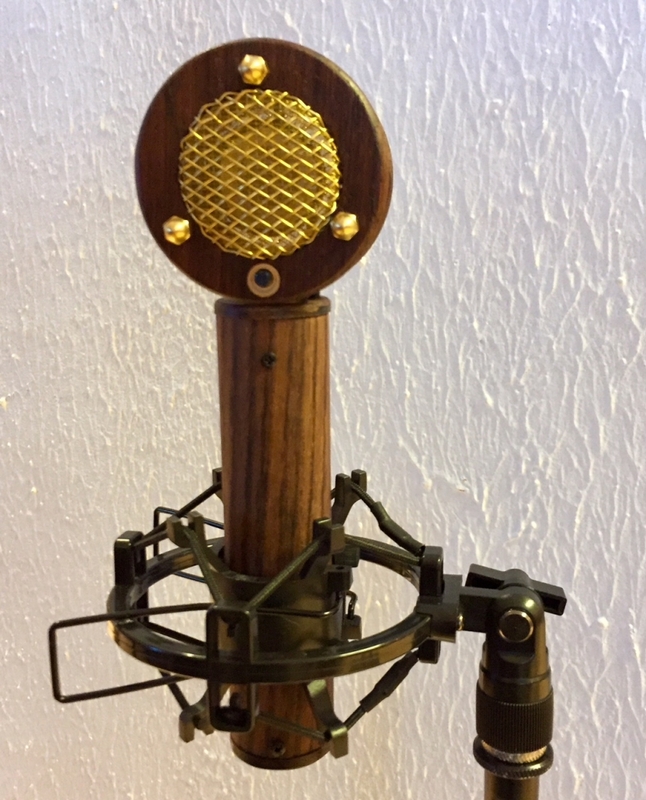 Timbre Tones studio condenser microphones are hand made in Oulu, Finland, with quality craftsmanship, unique real wood exteriors of your choise and open, warm tone to capture the intricate timbres of your voice and instruments. You can feel it in your hand too: No faux woods or plastic here, just the real, organic thing! A genuine abalone, brass or spectrolite inlay adorns the front of this cardioid pattern large Diaphragm Electret Condenser microphone. Technically, this is an ”open source” project, based onScott Helmke’s magnificent Alice-microphone, which in turn is based on Schoeps microphones circuitry. All the components used are of tightest tolerances, and the capsules are Transound TSB-2555BXZ3-GP large diaphragm.